Ultrasound is great at diagnosing pneumothorax. This is especially important in the trauma patient, where it has become integrated into the extended FAST exam. I think we are all wondering if we can (safely) get away with a quick look in a single space bilaterally to rule out a significant pneumothorax. 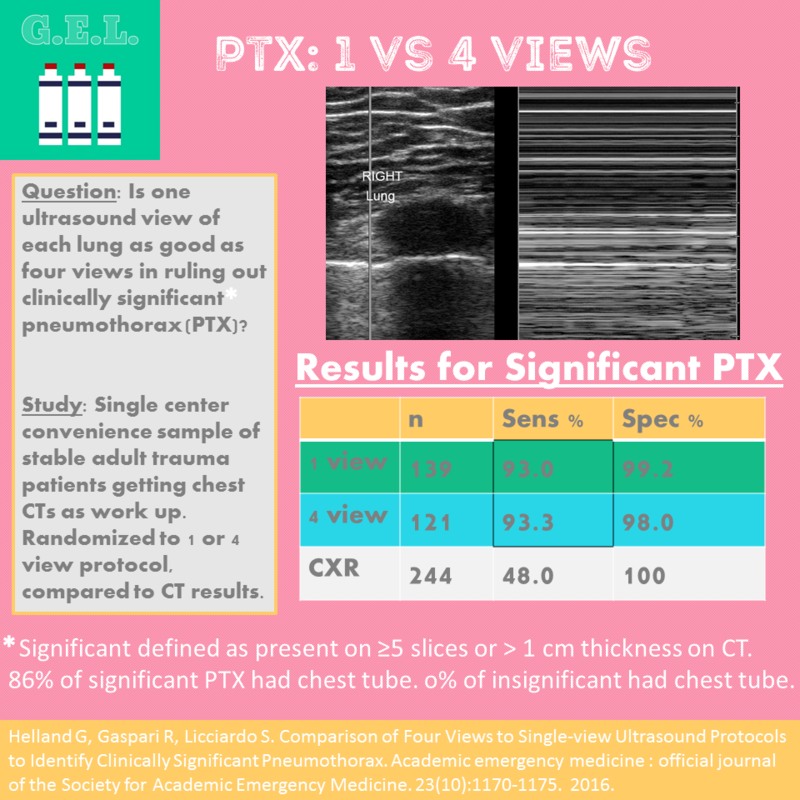 This study prospectively evaluates this question to determine how well 1 view compares to 4 views in finding a pneumothorax in the trauma patient. This article examines an issue that we all face. It can be frustrating to take the time to place an IV only to have it blow during a vital CT scan. Is this a result of the IV being placed by ultrasound or a result of the underlying causes that led to the patient having poor venous access? Come find out. 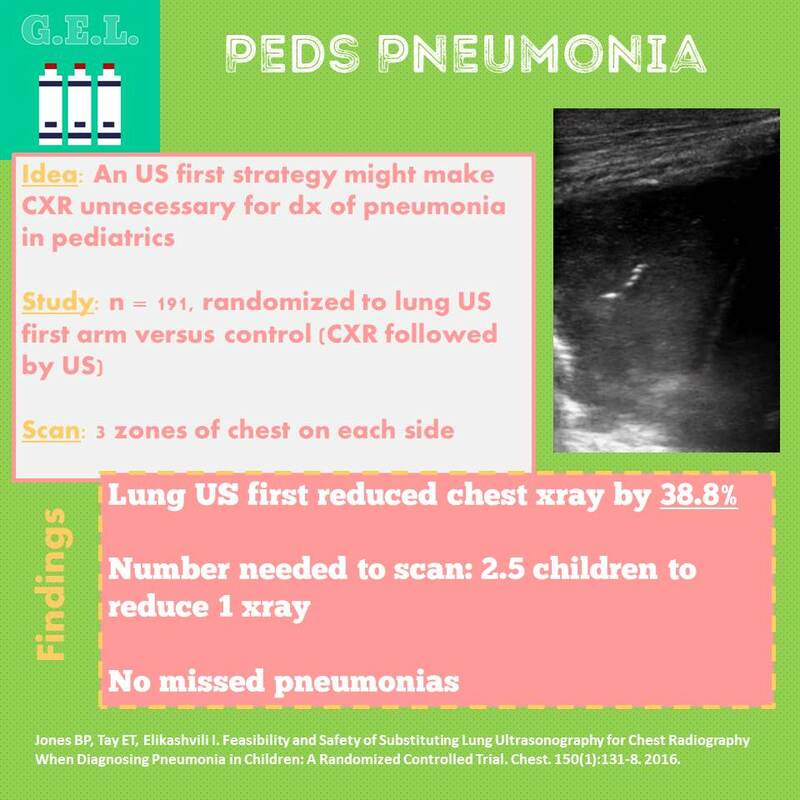 This study looks at how well point of care ultrasound performs in the evaluation for pneumonia in a pediatric emergency department. 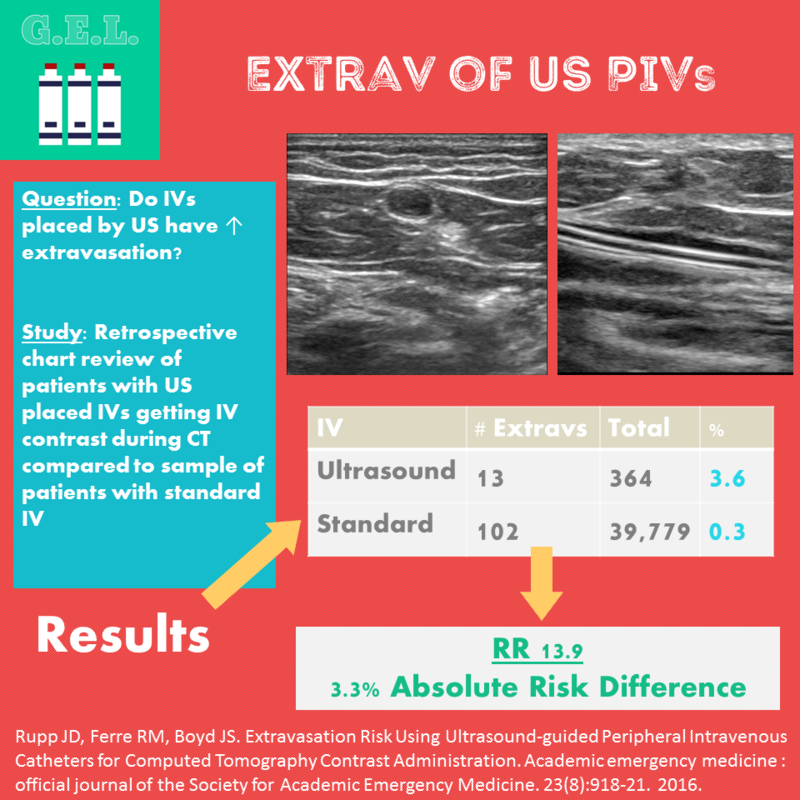 Two study arms were compared - an ultrasound first approach, in which patients did not necessarily require a chest xray, and a chest xray first approach, followed by an ultrasound. The authors hypothesized that using ultrasound could reduce the number of chest xrays needed. They performed follow up to see if there was any difference in return visits or antibiotic prescriptions. Impressive results followed! Maybe POCUS for SBO is not as good as we thought? Check out other awesomely juicy articles on our More Articles page.